It's like a skate park took over a mall. (SPOT.ph) Last May, AXE introduced its AXE Black Concept Store campaign. 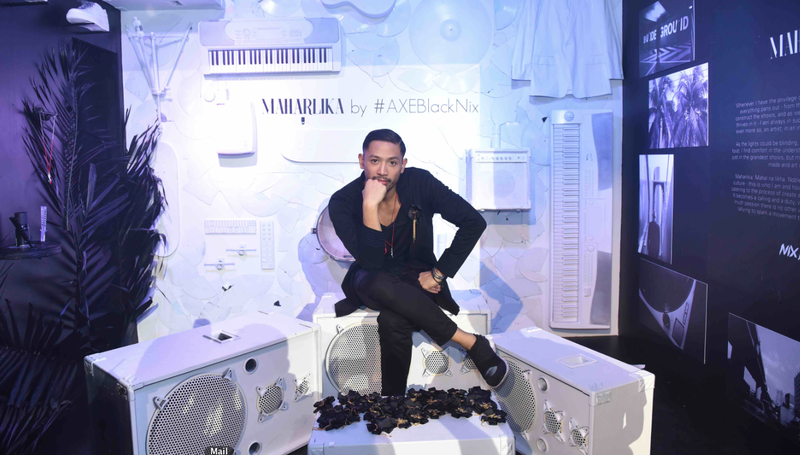 Modeled after the previous year’s successful pop-up bar series, the concept stores intend to showcase the lifestyle of the AXE Black Man—from the way he dresses to how he grooms himself. This year, actor Arjo Atayde, blogger David Guison, and DJ Nix Damn P have been chosen as AXE Ambassadors, and all three are out to impress with their concept stores. The first to open his pop-up store is DJ Nix Damn P, who calls his store Maharlika. Designed to look like a skate park, the store is perfectly Instagrammable, with a digital graffiti wall that encourages guests to create their own street art using Axe Black sprays and an Axe Tree that acts as a scent diffuser. Nix has also teamed up with local artists and other DJs to provide entertainment within the store, making for a cool, interactive experience. The real draw, however, are the must-have items that are the result of Nix’s collaboration with local brands like Team Manila, The Lost Nomad, and Progress. “I want to use the unique, organic way of street culture to cross pollinate the melting pot of talent of creatives from music, art to film, and create an end product that is otherwise unachievable individually,” he explains. Are you excited about Maharlika? Visit the concept store at POP, Unit 8 & 9 at The Fort Strip, Bonifacio Global City from August 27 to 28 at 4 p.m. to 11 p.m. Follow AXE Philippines on Facebook for more details.